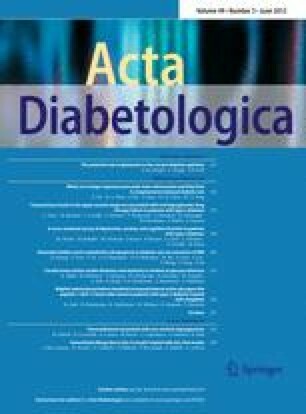 To evaluate the prevalence of depression in outpatients with type 2 diabetes and its possible correlation with anxiety, cognitive function, and clinical variables. The Zung Self-Rating Depression and Anxiety Scales and the Mini-Mental-State Examination were administered to 249 non-insulin-treated (NIT) and 249 insulin-treated (IT) outpatients with type 2 diabetes, aged 40–80, in a cross-sectional survey. Compared with a reported prevalence of 6–13% in the general population, 104 (20.9%) patients had either a score indicative of depression or were on anti-depressant medication. Assuming that medication might modify the responses to questionnaires, the latter patients were excluded from further analysis. IT patients had higher age, known duration of diabetes, HbA1c, more foot ulcers, retinopathy, microalbuminuria and practised more self-monitoring of blood glucose (P < 0.01 all) but a slightly lower mean depression score (P = 0.004) and similar anxiety or cognitive function. At multivariate analysis, depression was associated with anxiety (P < 0.001), age (P < 0.001), gender (men having lower scores than women, P = 0.042), and insulin treatment, IT patients being less depressed than NIT (P < 0.001), but none of the clinical variables. Anxiety correlated with age (P < 0.001). The association between depression and anxiety became progressively weaker with increasing age. These data confirm increased prevalence of depression in a population of patients with type 2 diabetes who did not show impaired cognitive function. The lack of correlation with disease duration, metabolic control, and complications suggests that depression may not appear/worsen with diabetes and/or its complications but rather supports suggestions that it might predate both. The work described in this paper was supported by funds from University of Turin (fondi ex-60%) and Ricerca Sanitaria Finalizzata Regione Piemonte.